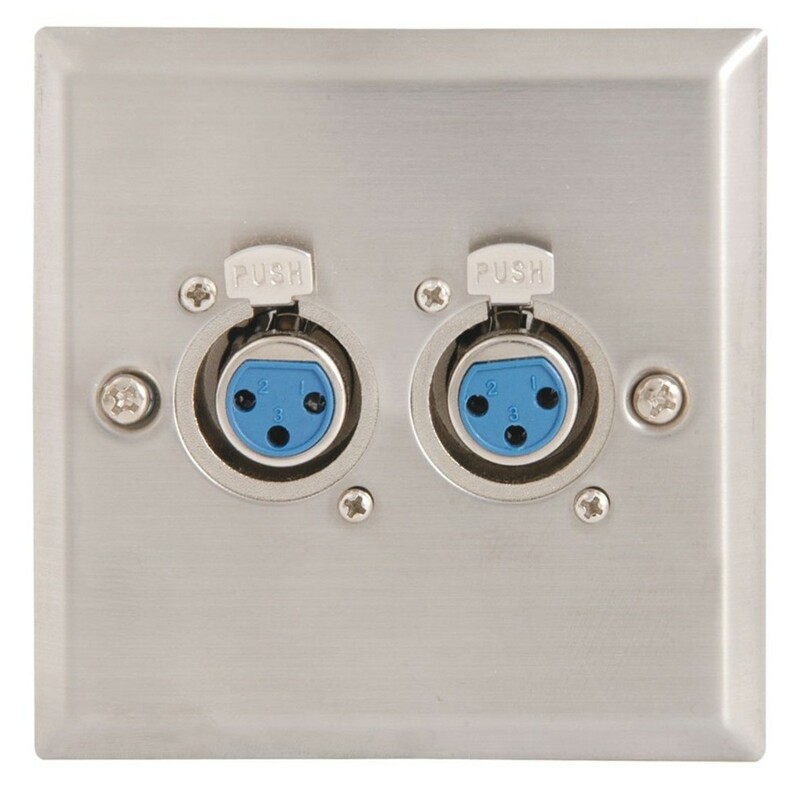 The Steel AV Wallplate with two XLR Sockets is a stylish and function back box cover for protecting two of your internal XLR connections. The high-quality stainless steel gives it a timeless look and a tough finish. This wallplate is for use with balanced XLR connections and you will receive two wall sockets in the blister pack as well as the fixing screws. Works universally across all XLR cables. This high-quality stainless steel wallplate is perfect for protecting your internal XLR connections. It features a socket for inserting an XLR cable connection. It fits a single mains back box and can be easily soldered for speaker connections. The fixing screws are supplied within the blister pack.